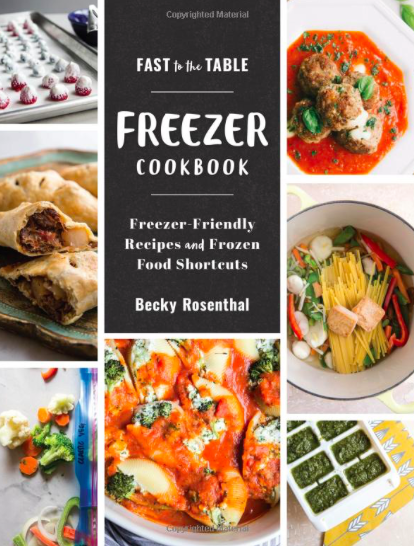 I love figuring out treats or recipes that my toddler can truly help with. 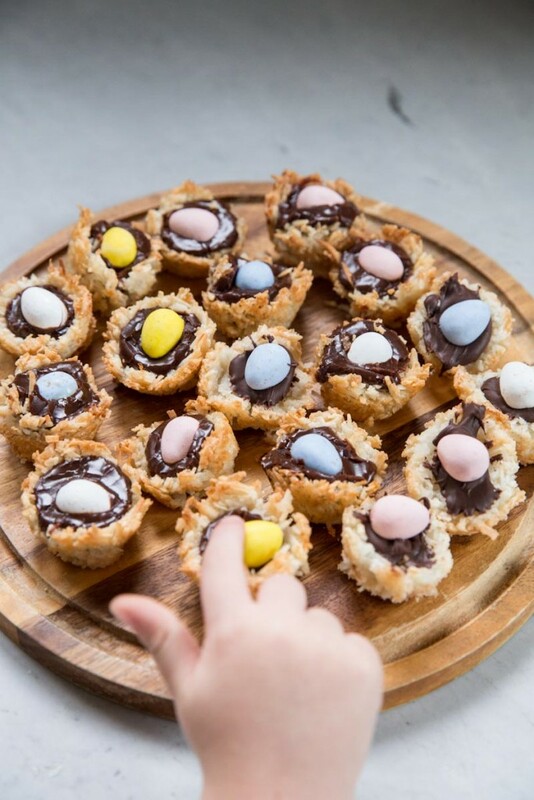 These little Coconut Macaroon Nests for Easter are literally so easy that my almost-3-year-old can make them with just a little help from me. I measured the ingredients for the macaroons, then my little guy dumped them all into a medium bowl. He cracked the eggs himself, then I separated the yellows and whites, teaching him the difference as we went. 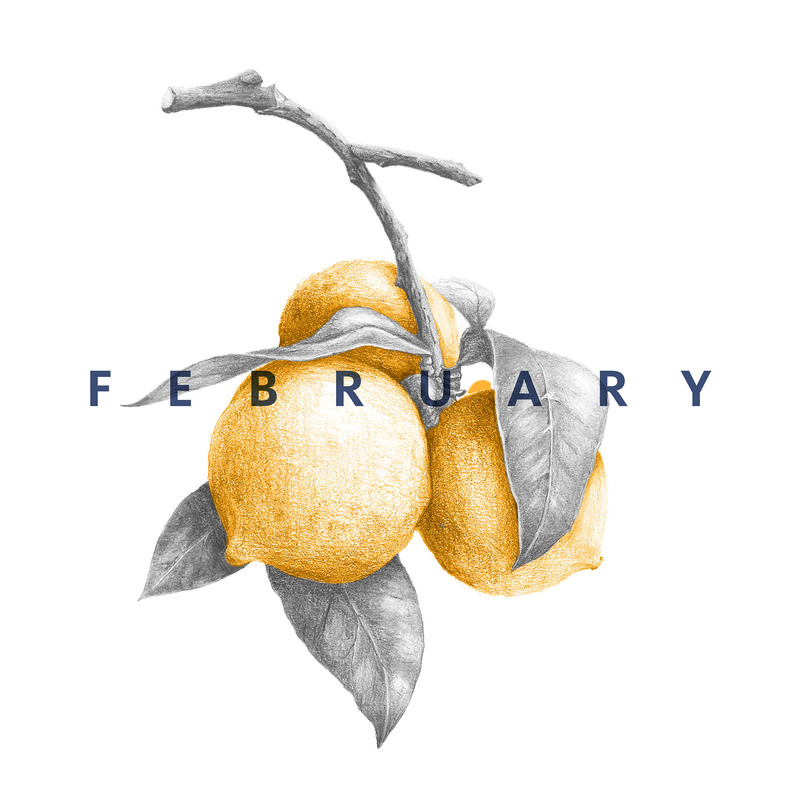 He mixed the ingredients, I remixed with just a few strokes. 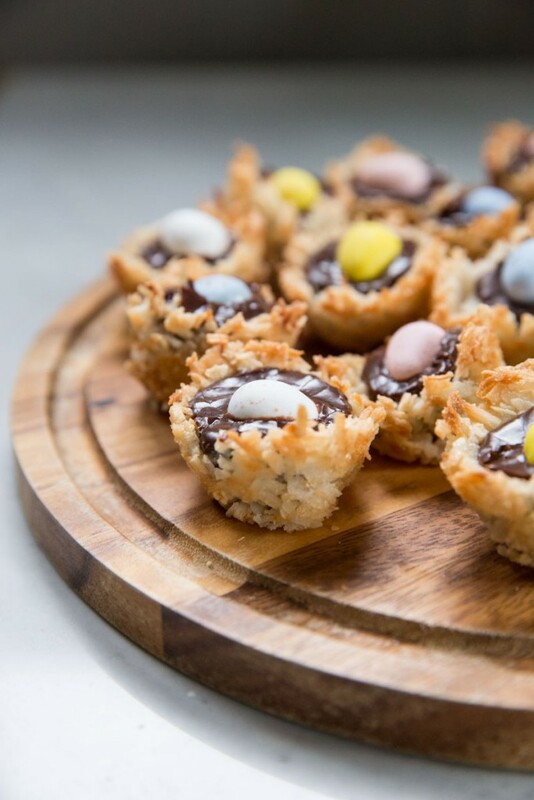 Together, we spooned the mixture into a greased mini muffin pan, he used the back of a teaspoon to make a nest shape in each macaroon, then we baked them off. He paced until the timer went off. We melted some chocolate as the nests cooled, then I spooned chocolate onto each nest as he picked out eggs and carefully placed them on top. I think this was Everett’s first baking project that he truly helped with, besides the normal stirring and splashing of flour around that is our usual routine when we bake cookies together. He was so proud of his finished project he could hardly wait for his dad to come home and taste test. 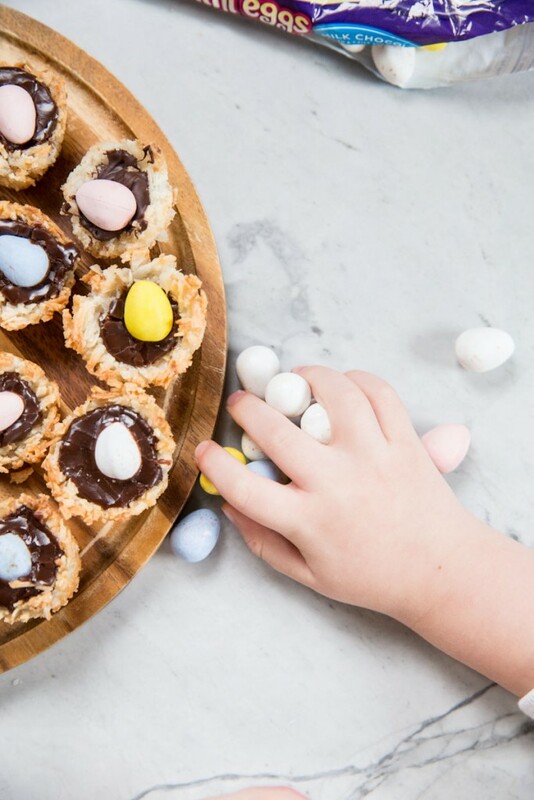 It was clear, from the chocolate streaks all over his toddler face, that he himself has already tasted his Easter inspired treat! 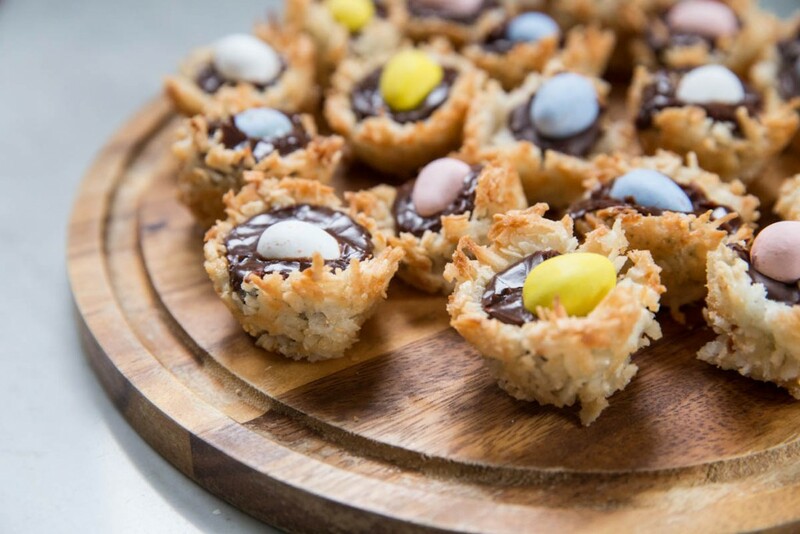 Make these easy Easter nests using coconut macaroons. Preheat oven to 350 and spray a mini muffin tray with nonstick spay (grease this well or nests will stick!). You can also use a sheet pan lined with parchment paper. Mix the coconut with sugar, egg whites, vanilla and almond extracts. Use a teaspoon to spoon mixture out evenly into 24 mini muffin tins. If you don't have a mini muffin tray you can spoon out the mixture using a tablespoon onto a parchment lined baking sheet. Use the back of the teaspoon to press down into the center of each nest to create a little well or nest. Bake for 12 minutes then turn off the oven and let the nests continue to set in the oven for 2 minutes. Remove the nests form the oven and use the back of a teaspoon to press down the center of the nests again. 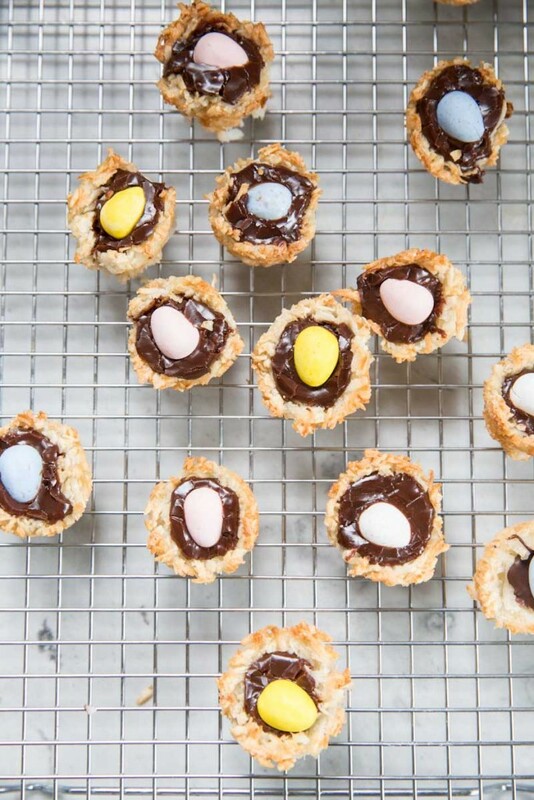 Let nests cool as you melt the chocolate chips. 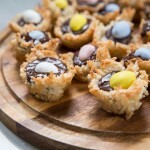 Use the teaspoon to spoon out melted chocolate evenly onto the nests. Top with a mini cadbury egg. Let the chocolate cool and set before servings. 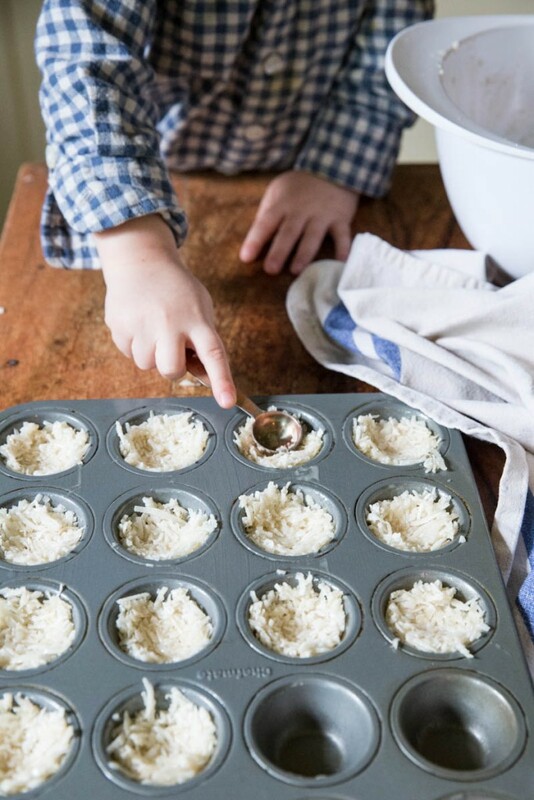 I love baking projects to do with my toddlers! Thanks for sharing!